This post is a bit off the main track of what I usually do, but it's very critical to the field I work in: outdoor education. I teach students of all ages, in all weather, and I find that one of the things that children (and adults) forget to do is drink water. Never mind the fact that it's a struggle just to get visitors just to bring water (4 oz bottles don't count), drinking water is even tougher when there are exciting things to do and see outside with our guides. However, it's critical to keep everyone hydrated. 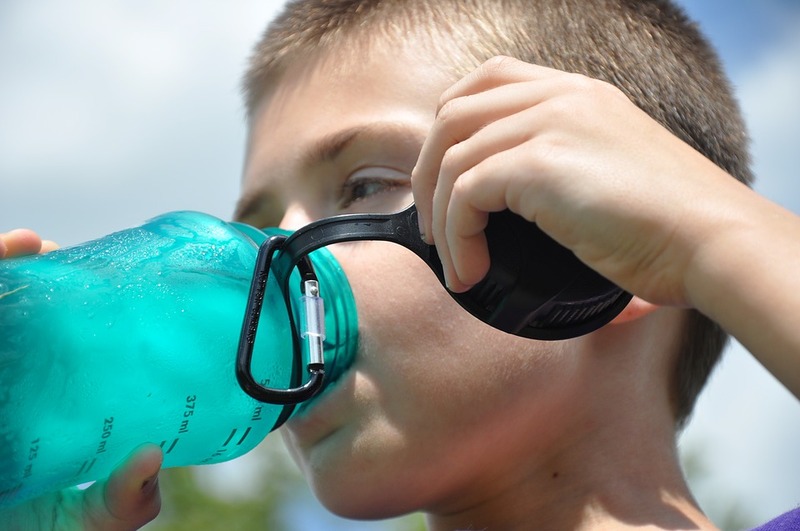 If you want to get kids to drink water it can be challenging to keep their attention. To this end I have put together a list of fun games that you can play with large or small groups of people to get them to drink water. Most of these have been converted from traditional alcoholic drinking games to kids-friendly versions. Posted in Informal Education, Kid's Activities, Naturalists, Science games, Water and tagged Get kids to drink water; nonalcoholic drinking games to get kids to drink water; water drinking games on July 15, 2017 by Infinite Spider.